Please join VVMF for Father's Day - Sunday, June 16, 2019 at 10:00 am. Each year, VVMF holds several ceremonies and special events at the Vietnam Veterans Memorial to help carry out its mission to honor, preserve and educate. Planning a trip to The Wall or attending one of our ceremonies? We can help. The annual Memorial Day ceremony is hosted yearly by the Memorial Fund and the National Park Service to pay tribute to members of America’s armed forces who have made the ultimate sacrifice in Vietnam and in all conflicts. 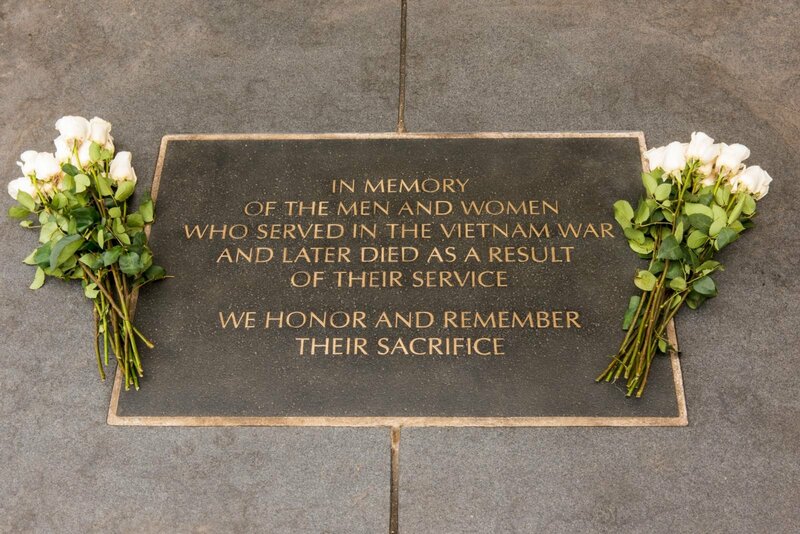 The In Memory program honors those who died as a result of the Vietnam War, but whose deaths do not fit the Department of Defense criteria for inclusion upon the Vietnam Veterans Memorial in Washington, D.C. Every year there is a ceremony to pay tribute to these men and women who sacrificed so much for their country. Every year on Father's Day, volunteers join sons and daughters of those whose names are inscribed on The Wall and affix long-stemmed roses with messages of love and honor, sent from across the country to those lost in the war. Each rose is placed at the base of the Memorial. 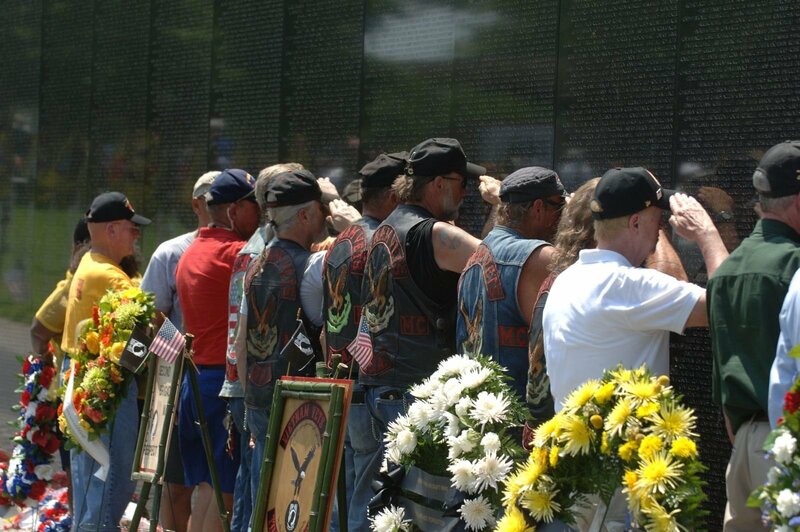 Each year thousands of visitors to the Vietnam Veterans Memorial gather to honor our nation’s veterans. On this special day, prominent Americans from all walks of life come to the Memorial to deliver thought-evoking and patriotic speeches. This ceremony pays tribute to all of our country’s servicemen and servicewomen, regardless of what conflict they served in. Hosted by the Vietnam Veterans Memorial Volunteers, the Christmas Tree Ceremony is a beautiful tradition that remembers all who served and sacrificed. A Christmas tree is decorated and stands at the apex of The Wall throughout the holiday season.